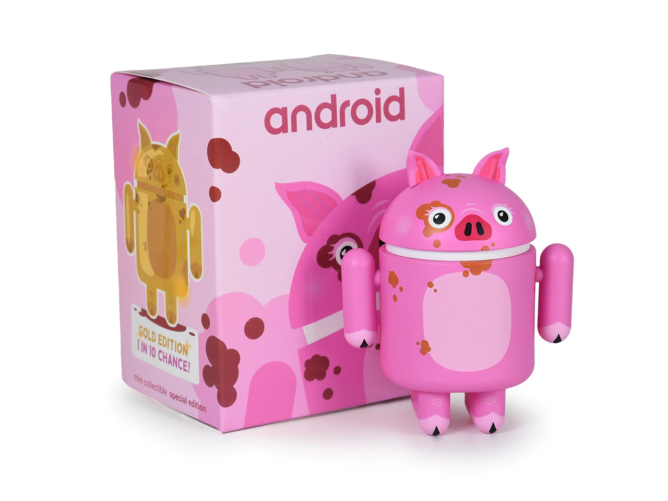 As is tradition, Dead Zebra is ringing in the upcoming Chinese New Year with an appropriate mini bugdroid figurine, shaped like a pretty cute, Androidesque pig. 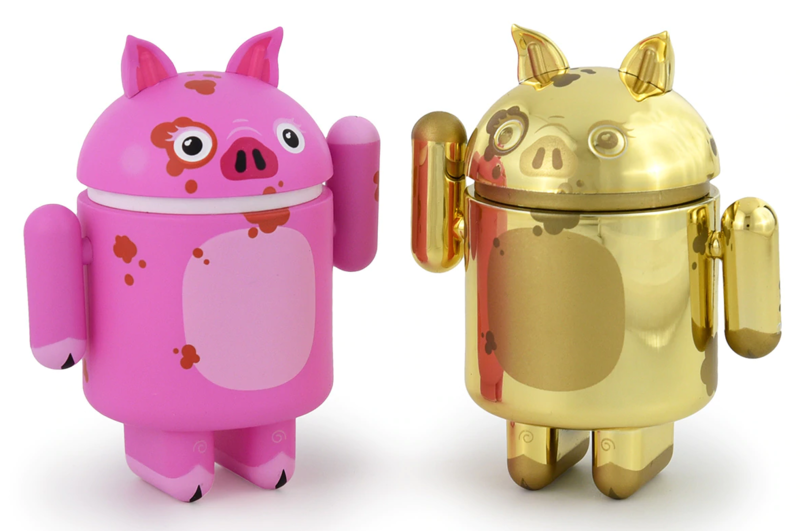 And, technically, there are two figurines: 1 in 10 purchasers will receive an even more limited edition Gold colored one, rather than your more standard (and perhaps cuter) pink bugdroid pig. If you've purchased any of Dead Zebra's minis, you know the drill. If not, they're ~3" tall plastic sculptures with articulating arms and rotating heads. These ones are modeled to represent the upcoming Chinese New Year, which is the Year of the Pig. They usually come in a windowed cardboard and plastic box, though this one appears to skip the window. If you want to display it without dusting, other boxes/display cases are available for purchase. These limited edition versions have a tendency to sell out pretty quick, and Dead Zebra has put together an FAQ on how best to snag one if you're interested. Pre-orders open tomorrow at 11AM EST (8AM PT), a bit ahead of the actual Chinese New Year itself, which is on the 5th of February. Price is still TBD, though odds are it'll be ~$10 if history is any indicator.